Carey + Brendan-Something Beautiful Highlight Wedding highlight from Carey and Brendan's wedding at Linganore Winery. Stacey + Tony All I Need Highlight Wedding Highlight video from Stacey and Tony's wedding. Rights for All I Need by Tim Halperin and Brand New by Ben Rector obtained from musicbed.com. Amy + Josh Take My Hand Highlight Wedding highlight video for Amy and Josh's wedding on May 2, 2015. Erica + Kit-Good Day Highlight Wedding highlight video of Erica and Kit which took place on October 10, 2105 at Caboose Farms in Maryland. Hagerstown Rescue Mission—60 Years of Hope 60th Anniversary video for The Hope Center Hagerstown Rescue Mission. 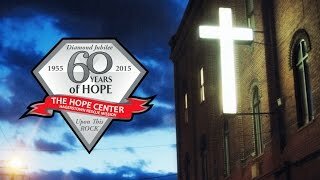 This video is a historical look at 60 years of the Hope Center helping the needy in Hagerstown Maryland. Kristen + Jason - I Do Short Edit Want to experience your wedding day with all of the sights and sounds of the day but worried that the video is just a music highlight with none of the actual audio. Or maybe you want more of a creative video that's not just your wedding day exactly as it happened. Then a short form wedding vignette is for you. 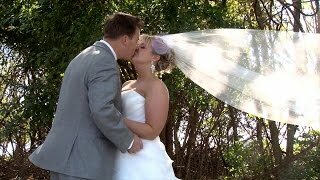 This is our first Short Form Edit (highly edited movie vignette of the day) from Kristen and Jason's wedding, which was held at Kent Manor in Stevensville, MD. Courtney+Shannon —Perfect For Me Wedding Highlight Wedding Highlight vide from Courtney and Shannon's wedding in Cambridge MD. "Poison in the Well" by "Marie Hines" was acquired from themusicbed.com. "Perfect For Me" by "Matt Heilis" was acquired from themusicbed.com. Laura + Michael Highlight-City On Fire Highlight video from Laura + Michael's wedding in Fort Meade MD. Brittany + Justin Wedding Vignette Wedding Highlight from Brittany and Justin's wedding that took place at Antrim 1844 in Tanneytown MD. Skin Care Testimonial Skincare testimonial video done for natural health doctor. Weight Loss Testimonial This was a testimonial video that was produced for a weight loss supplement. 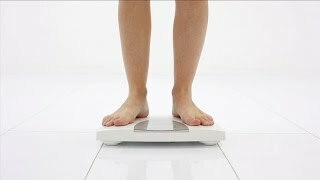 Weight Loss Weight loss product video. Partners with HD Company video done showing relationship between doctor and health partner. 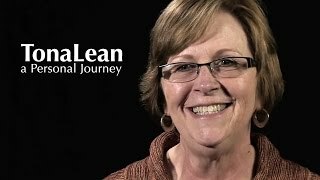 Coping with Stress Heart specialist talks about doing with stress. Detox Demo This was an older online video for a detoxification product launch. Since this product was for a sensitive non-flattering body function, I decided to pitch the video in a humorous campy style to hold the viewers attention. Mens Health Doctor speaks to men on the benefits of having a healthy prostate. Health for Women Multivitamin video for women's product. Iole+Chris-Best Part of Me Highlight Highlight video from Iole and Chris's wedding which was held at St. Anthony Shrine Parish in Emmitsburg MD and the Wyndham Gettysburg. "Life in Color" by "One Republic" was acquired from song freedom.com. Kristin + Evan Wedding Vignette Wedding Highlight from Kristin and Evans wedding that took place at Greek Orthodox Cathedral of the Annunciation and the George Peabody Library in Baltimore MD. Heather + Josh—Always Been You Wedding Highlight Highlight wedding video from Heather and Josh. The wedding took place on May 11, 2013 at the beautiful Country Club of York. Music used in this video is "Always Been You" by Marie Hines. Music provided by The Music Bed. Shannon and Justin Trailer Wedding Trailer Shannon and Justin were married at the Morningside Inn, in Maryland. This was the fith time that I have filmed at Morningside, and every time I film there it just keeps getting better. Angela + Matt Wedding Highlight Highlight video from Angela and Matts wedding. The wedding took place at 1757 Golf Club in Virginia. Michelle-Kyle Highlight Has anyone ever been to a wedding where the Father or the Bride dances with her dad to "Sweet Child of Mine" by Guns and Roses, the groom dances to "Simple Man" by Lynard Skynard, the Father of the Bride sings "For Whom the Bell Tolls" by Metallica, a little girl sings Adele, and the groom performs a drum solo? Well this one had all of that and more. This was by far one of the most energetic weddings I have ever shot. And even though this was a lively affair, the love between Michelle, Kyle and their family was evident. While this clip is set to the Plain White Tees 1,2,3,4, which rights were purchased from SongFreedom.com, you'll get the idea of what seems ordinary for a wedding and what does not. BTW, the band that performed rocked the house all night long. Melissa+Chris Montage Sample montage video from Melissa and Chris wedding.